Team Captain Sean Ward . 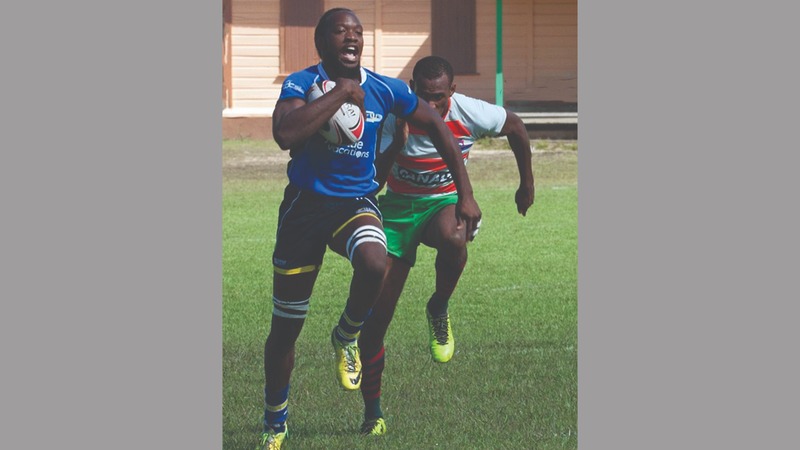 Barbados’ male Rugby 7s team is heading to the United States this week to compete in two club Rugby tournaments in New York and Pennsylvania. The US tour will not only prepare the players for the Rugby Americas North (RAN) Regional 7s Championships being staged this September in Barbados, but also gives them the perfect platform to internationally market the highly-anticipated Mitsubishi Electric Rugby Barbados World 7s Tournament (MERBW7s). The Barbados JetBlues will play in both the RoadKill 7s in Binghamton New York on Saturday, July 14, and in the Doylestown 7s at the Doylestown Rugby Club in Pennsylvania on Saturday, July 21. 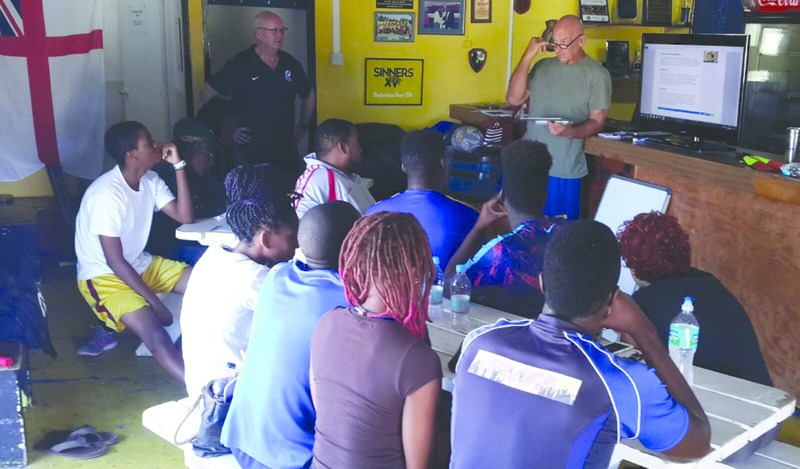 They will also compete in a ‘mini-tournament’ at Buffalo Rugby Club on Wednesday, July 18 to further improve their competitiveness and skill set in the lead up to the premier Rugby events to be hosted in Barbados later this year. George Nicholson, Manager of the MERBW7s Local Organising Committee, said the tour was an invaluable international experience for the local team and hoped it would assist them to compete on home soil in December for the MERBW7s US $30 000 prize money that is up for grabs. “This annual tour is fast becoming one of the best ways for our boys to prepare for tournaments that increasingly demand a world-class standard of Rugby. In particular, this year’s MERBW7s Tournament is going to be bigger and better than ever before and we need to make sure that our team is at the very top of their game in order to fiercely compete against the other teams,” he said. 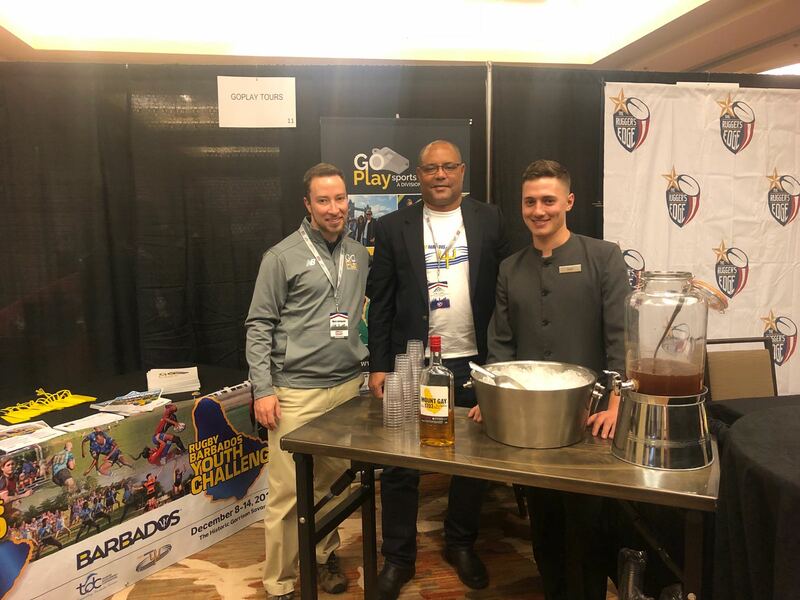 Nicholson also thanked JetBlue Vacations for sponsoring this current tour to the USA, as well as for being a valued partner of the 2018 MERBW7s Tournament. The 2018 Barbados JetBlues team will consist of Sean Ward, Shane Howard, Dario Stoute, Zayn Nicholson, Mikyle Walcott, Kris Carrington, Enrique Oxley, Mitchell Morris, Conrad Edgar, Shane Taylor, Nickolie Bonnett, and Deadndre Phillips. This year’s tour will see them come up against club teams from the East Coast of the USA, which is traditionally a strong Rugby Sevens region. “This tour is always a wonderful bonding experience for the team and we really get to test our skills up against international players. It’s also a great way to encourage teams to come and play the MERBW7s in Barbados in December, and to show them just what our beautiful island has to offer. On behalf of this year’s team, I extend my sincere thanks to JetBlue and JetBlue Vacations for continuing to make this important tour in our Rugby calendar possible." The 2018 Mitsubishi Electric Rugby Barbados World 7s Tournament will be hosted from 8 to 9 December at the iconic Kensington Oval and will feature some of the best men’s and women’s club teams from across the globe. Teams from South Africa, Argentina, Scotland, England, Wales, Canada, and the USA, as well as regional teams like Venezuela, French Guyana, Guadeloupe, St. Lucia, and Trinidad have already indicated their intention to participate in this year’s Tournament. Originally known as the Tobago International 7s, the Tournament is the longest running Club Rugby 7s Tournament in the Caribbean and was relocated to Barbados from Trinidad in 2016. The 2018 MERBW7s official partners include Title Partner Mitsubishi Electric Cooling & Heating, TDC, BTMI, Kensington Oval, Hamilton & Inches, Blue Waters, Bristol Sport, Intimate Hotels of Barbados, Courtesy Rent-A-Car, Power X4, Innotech Equipment Inc., The Royal Shop, and of course JetBlue Vacations. In support of the 2018 MERBW7s Tournament, JetBlue Vacations are now offering special rates for flights to Barbados from the USA, including from Washington DC., Buffalo, NY, New York NY, and Philadelphia.